Ok, you’ve started a business, now what? During my time helping business owners set off on the journey to go digital, I’ve learned one thing: there’s a lot to know. I forget that what I know is based off of over a decade of working in digital media and marketing along with a hunger to keep up with what’s going on in the ever changing world of content marketing. But you didn’t click on this article to hear me opine, so I’ll get to the point. Whether you are the person starting your business online or if you’re trying to help a client, here are some tools you can use. To be honest, companies that will help you build a website are myriad and a longer article on their own. So, I’ll give what I recommend to my clients when they are getting started. Medium has a really simple, sophisticated interface. If your business is more content-oriented, then this is a viable option (similar to mine, for example) for you. You have a lot of creative leeway using their free package. There are more options when you pay for the site (this is one of my favorites) but in the meantime you can get started for free. WordPress is a favorite option for many people. My own site is run off their free option (though I do pay for my URL through GoDaddy), but they have a more robust version you can pay for. WordPress is a great option for many businesses because it can be as manual or analog if you want. If you only want to sell some items and update a blog, you can do that via some plugins and an app on your phone. Or if you want to code your own, unique website, that’s available to you too. If you’re looking for a simple, beautiful option where you can sit down and have your business up and running in 1hr or less, I’d recommend SquareSpace. At $9.99/month for a basic package, you get a ton of features including the ability to sell things. Truth be told, if I or one of my clients was in a retail business, I’d run it off of SquareSpace. Chances are that just one sale will more than make up for the cost of the site, and you have their support staff on-hand ready to help with your questions. It’s the best value for a paid website I’ve found. Every business has a different strategy for how they want their brand and content to be seen by the public which is why there are a lot of different options for managing social media posts. Additionally, you’ll need to decide what you want your tools to do for you: automatically posting, chain of approvals, or simply scheduling. However, keep in mind that you will pay for these conveniences, so it’s important to think about which you really want/need then scale if needed. I personally LOVE Airtable. I use it to seamlessly ensure all aspects of my editorial calendar are there. It’s free, you can link between tabs to make sure that your social posts are ready to go, and you can even store your assets there. However, I will admit it’s basically a smarter, visually pleasing spreadsheet, but when used effectively, you can see a lot of info at-a-glance and see what’s missing, what your deadlines are, and what is ready to go. If you love it, there are of course, paid premium options you can explore too. Hootsuite is one of the first social media platforms I used when I started doing social media management. It’s simple, streamlined, effective, and posts automatically for you. At the time I was writing about 10-16 blogs/day, including sourcing photos and scheduling their social media posts. If it weren’t for Hootsuite, I’d have gone insane. So, if you’re short on time, deadline-driven, and want to “set it and forget it” then Hootsuite might be a good option for you. Sprinklr is, in a word, robust. It has everything I mentioned above along with a flow for approvals so nothing goes up without the boss signing off on it. However, as with many robust things, it’s a but tough to navigate. That said, there have been more than a few times when their app saved me from being chained to my computer all day long. I could work with my teammates on the fly and get everything squared away while on the train ride home. If you are interested in one of the best social media products on the market, take some time to dig into what Sprinklr can help you do. Newsletters are like Hansel from Zoolander: so hot right now. There are some companies who solely send newsletters. That’s it. They may have started a website to act as a content repository or place for their advertisers to advertise, but that’s about it. They. Only. Send. Newsletters. 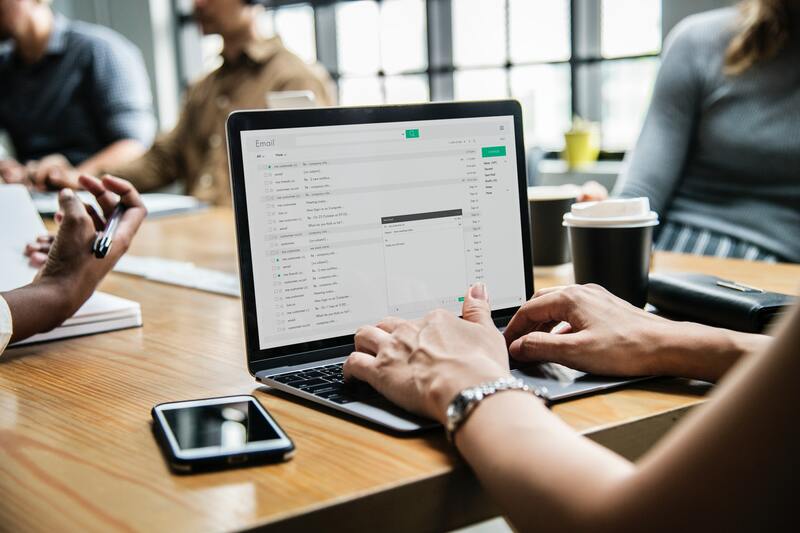 Now, as you’d imagine, they’re some pretty kickass emails, but all of that aside, newsletters are really popular for businesses and might be worth you investing your time and money in. I have had nothing but wonderful experience working with MailChimp. You can choose the date, time, etc. of when you want to send your emails and even segment your audiences. One time, I was tasked with updating our interoffice newsletter. It was coded in HTML/CSS and I had no idea what I was doing. With the help of CodeAcademy and MailChimp, I was able to learn the language in a couple of days and the newsletter went off without a hitch. It’s definitely worth exploring their platform if newsletters feel uncomfortable to you. It’s also free if you send less than 12,000 emails/month. And actually, I’ll stop there because unless you’re confident in your strategy, I don’t want to steer you in what could end up being an expensive direction. Here’s an excellent article about some popular options with the prices included. I know this can all feel a little overwhelming, but that’s ok. Start small. Make your website. Post a few things. Tweet them. Then engage with your audience. It can take a week, a month, two months, the important thing is you stick with it and don’t give up.